Add some edge to off-duty looks with this slick, faux-leather moto from MICHAEL Michael Kors. 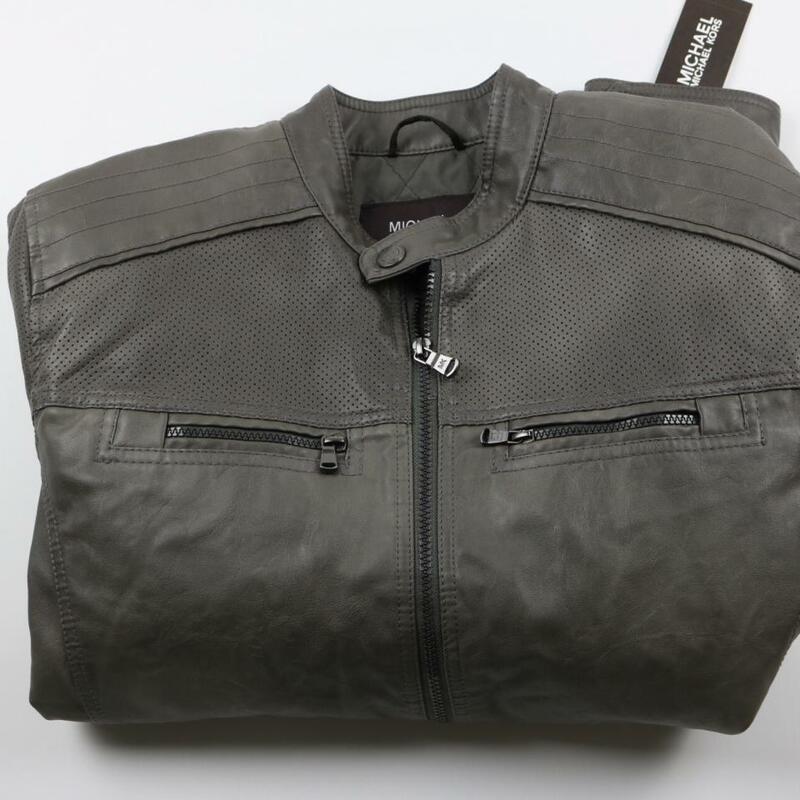 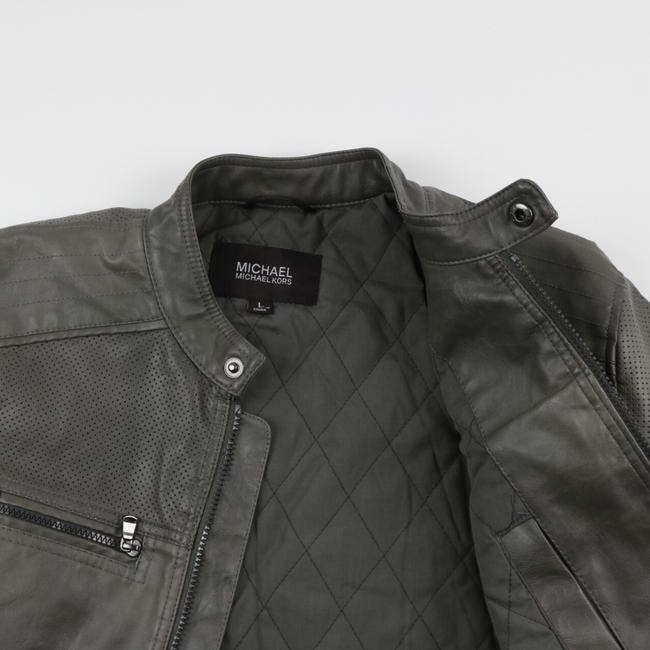 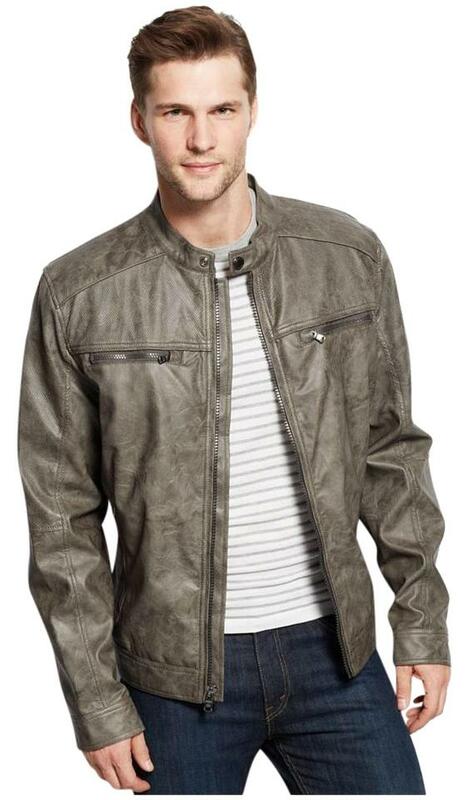 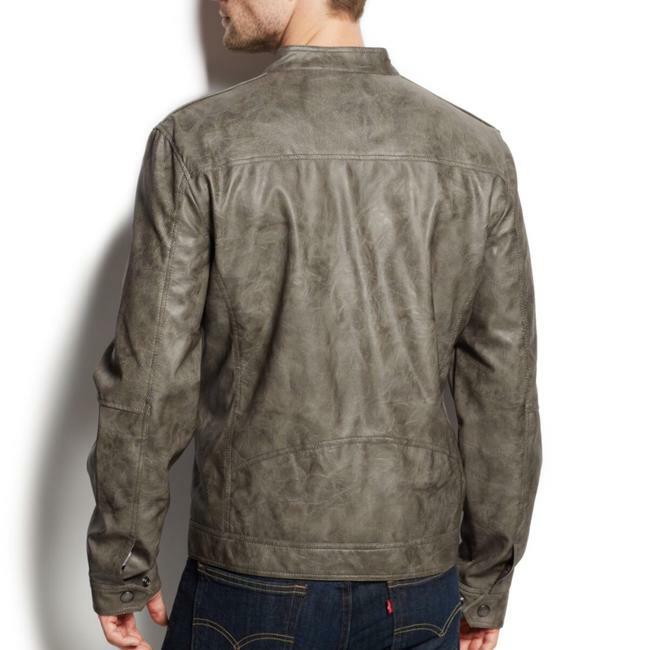 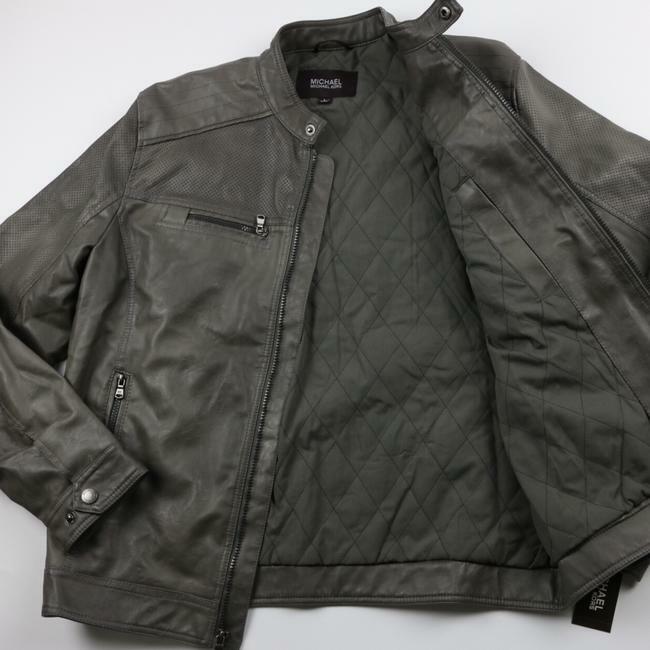 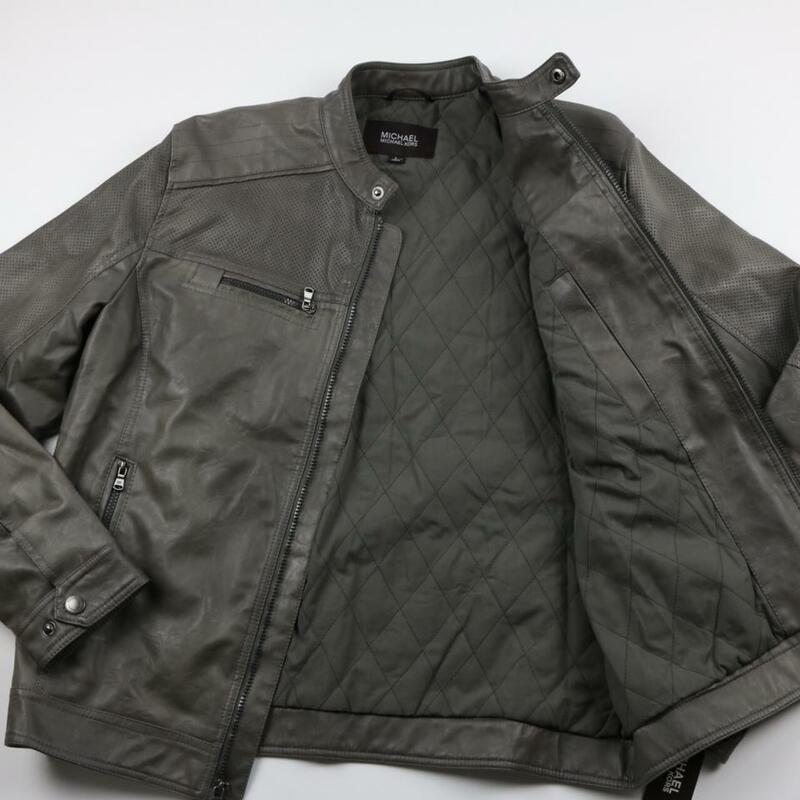 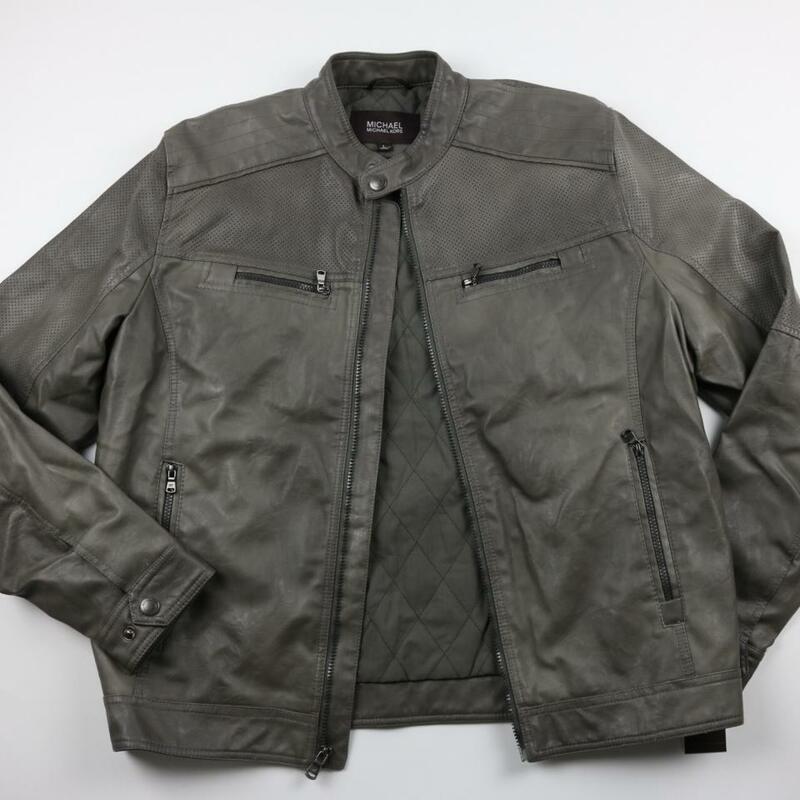 MICHAEL Michael Kors men's synthetic leather jacket. 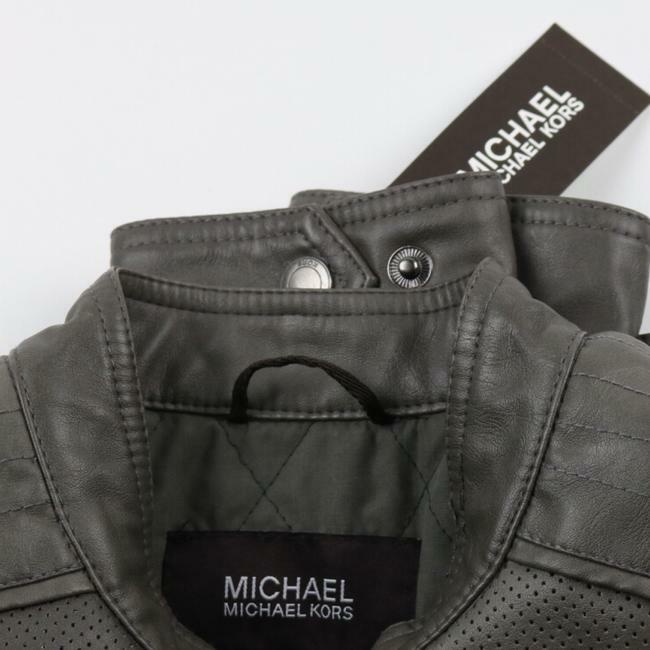 Snapped moto collar. Zip-front placket. 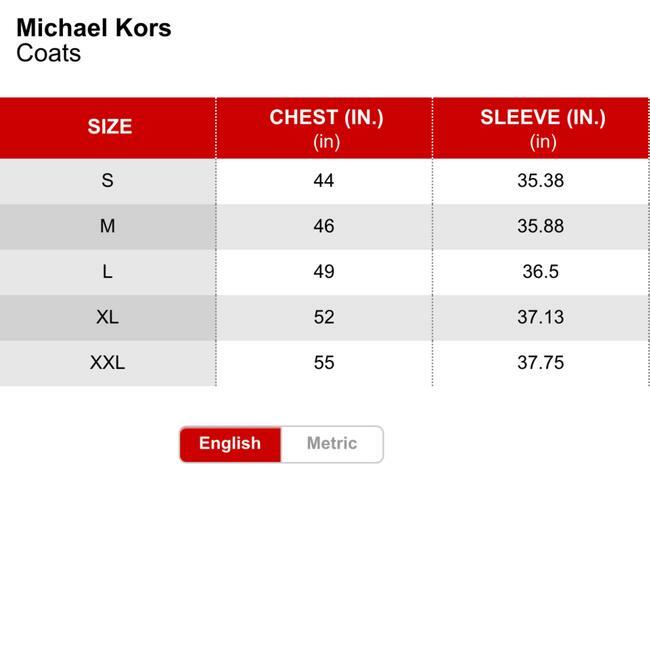 Long sleeves; adjustable snapped cuffs . Zip chest pockets; front hand pockets; interior side-entry pocket. 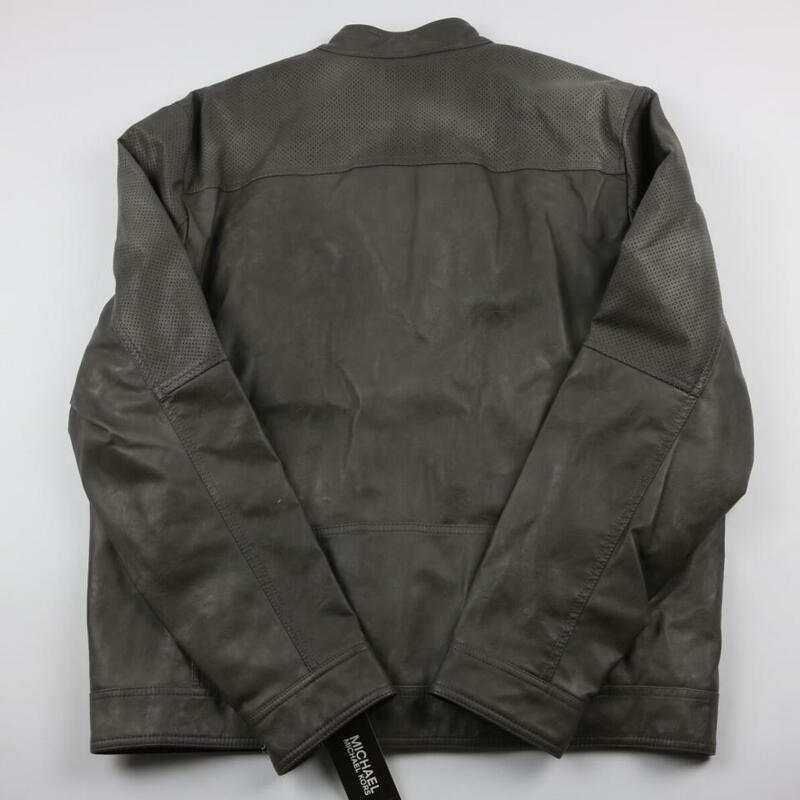 Lined . Polyurethane; Backing: viscose; Lining: polyester/cotton; Sleeve lining: polyester.